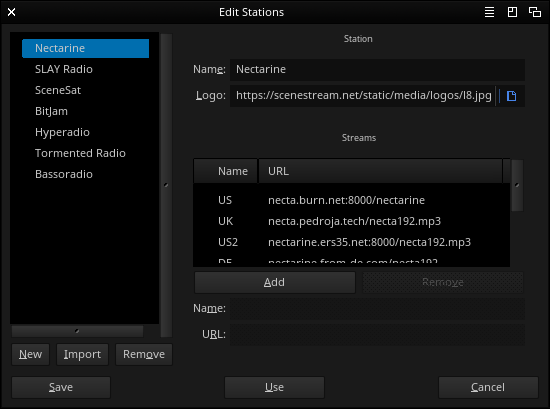 RNORadio is a GUI based internet radio player program for MP3 streams. 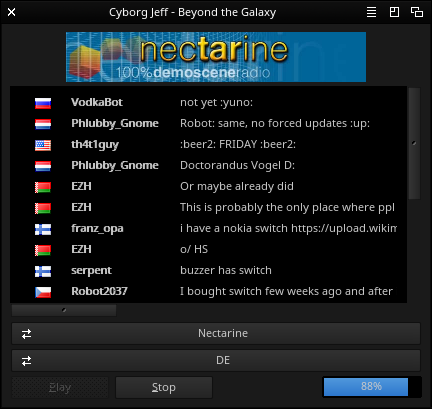 The actual streaming and playback is based on the CgmRadio program, but RNORadio still works as a stand-alone program with no dependencies. The program is available for MorphOS. Looks great, it would also like to run under OS4. Could you also compile it for OS4 and make it available here? Unfortunately it's using an external player for streaming and playback, and that program works only on MorphOS. But if anyone can point me a lightweight open source shell based streaming program for other platforms, then I can port it. 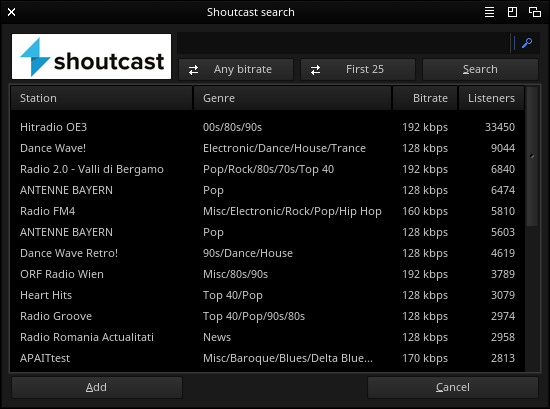 Unfortunately I did not find any streaming programs based on Open-Source-Shell. Not that easily... I've modified the external player to send information to RNORadio, and with AmigaAMP I'd have to change the whole structure how the program works completely other way around. My goal was also to make the program stand-alone and I've embedded the player software in the RNORadio binary, with AmigaAMP I'd have to require totally external program and have two programs visible etc..
BTW. I just released an update to RNORadio. See the first post for download links. Im using RNOradio a lot while toying with MorphOS.